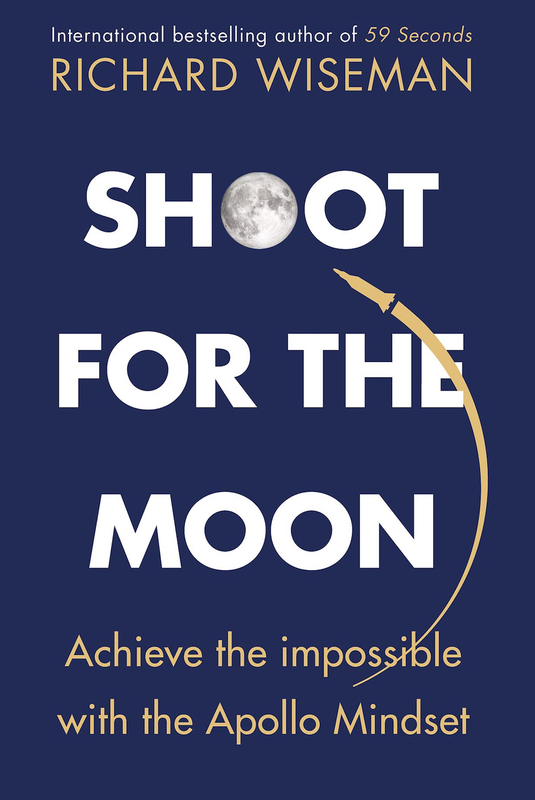 I have produced a new kindle ebook containing many of the previous Friday Puzzles! 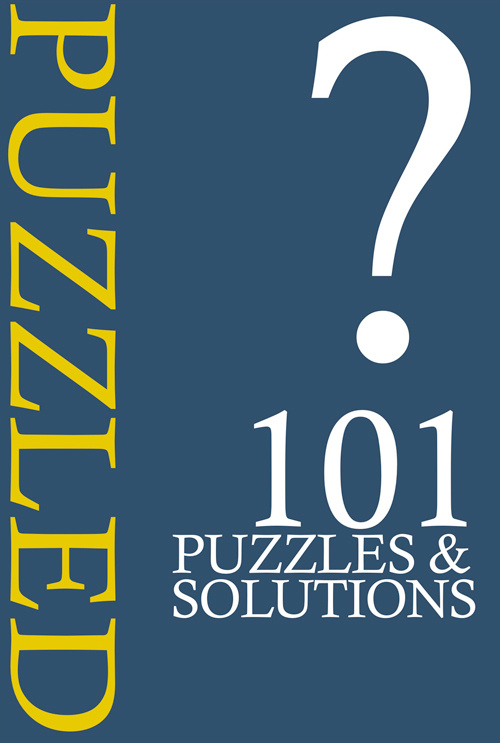 It is called PUZZLED (available in the UK here and USA here) and contains 101 puzzles and the solutions. If you enjoy the Friday Puzzles and the blog, feel free to show your appreciation by buying one of the books. This week’s puzzle was kindly sent to me by Milan V.
Imagine a monastery in which ten of the monks may have a disease which causes them to have blue spots on their foreheads but has no other symptoms. All the monks have taken a vow of silence, they meet just once a day, and there are no mirrors in the monastery, so nobody knows whether he has a blue spot on his forehead or not. If a monk discovers that he has a blue spot on his forehead, he will have to leave the monastery by the end of the day. All the monks are perfect logicians – that is, they can instantly infer all the logical consequences of any statement made to them – and they all know that all the other monks are perfect logicians. One day, the Guru, who is known to be truthful, gathers all the monks together and announces “At least one monk in this monastery has a blue spot on his forehead.” Nothing happens for nine days, but on the tenth day, all the monks with blue spots leave. How many monks left and why? his things and leaves by the end of the first day. Now, consider there are two ill monks, say you and me. You see that I (and no-one else) have a dot on my forehead, so you naturally expect me to leave by the end of the first day. But I don’t because I see you with the dot and expect the same from you. The only possible reason is that we both have the dots, so we both pack our things and leave by the end of second day. Now, there is you, me and John. We both clearly see that John is sick and each one of us see one additional spotty monk. John, on the other hand, sees the two of us. So each one presumes that the other two will have left by the end of the day and the only reason why they have not is that there are actually three of us who have the dots. So we all just leave together by the end of the third day. Did you solve it? Any other explanations? I started the process of solving it as above but didn’t work it out due to a bottle of wine. So didn’t solve it at all this week. Good puzzle. Not sure I would have got it(though I like to think I would have). That was it. Started off first with 10 monks but couldn’t manage to get around the logic, so I started again with 1 monk. After that it was straight forward and simple. You mean for a whole weekend. For me this one was hard enough. The Guru “is known to be truthful” implying that the others aren’t, so …. The Monks all use hand signals to persuade the Guru that he has a blue spot – being truthful he leaves immediately. Once the Guru leaves everyone else behaves as if no-one has a blue spot (just in case THEY are the spotted one) and they all live happily and hypocritically ever after. Being the Guru and all, one would presume that he too is a master of logic. So unless the Guru is truly infected, no amount of persuasion abetted by flimsy reasoning will make him leave. Hmmmm. I think you got me there! Are YOU the guru? Ah, but the monks have all taken a vow of silence and the Guru has not. Therefore the Guru is not a monk. Therefore “At least one monk” does not include the Guru. Furthermore, the Guru may have come from outside and may know full well whether or not he has a dot before his arrival. He may even have a pocket mirror in his satchel. Another logic failure on my part then – perhaps I should take a vow of silence?! So there isn’t actually an answer. The question was “How many left and why”; the solution tells the why, but there’s no solution to “how many” only “for any given n, this is how it will play out”. No. It says the answer is 10 monks! The question said 10 monks MAY have the disease. “on the tenth day, all the monks with blue spots leave.” There’s your 10. If they had left on the ninth day, there would have been 9, etc. I meant to reply to rusty there. You can see 9 monks with spots. Possibly there are only 9. The only way you can tell you have one as well is if the 9 don’t leave on the day when they could have worked out there are only 9. And if there were only 9, then each of those 9 would only see 8 monks with spots. Each one wouldn’t know he had a spot, so would only conclude he has a spot once the day when 8 monks would have left. 8 monks would only know to leave after discounting the possibility of 7 leaving, which requires ruling out 6, and so on. And ruling out each possibility takes 1 day: the rules require a spotty monk to leave on the day he works it out, so you have to wait until the end of a day to see whether any monks have left. So ruling out the first 9 possibilities takes up the first 9 days. I am fairly new, but fail to see the logic that ties number of monks with the blue spot to the number of days. Afterall they are not forbidden to see only one other monk at the same time. Also, if the monks are perfect logicians, they would figure out that they can still use hand gestures to either tell somebody that they have a blue spot or force somebody leave if he hasn’t for the end of the first days. ALSO, they may conclude that it’s such a hassle to figure out the has the blue spot by the end of the day so that they all leave on the first. And if they all leave then also all the monks with spots leave. My sentiments exactly, Marek. I don’t get this one at all. Indeed not. Further, to work this out they actually have to see all the other monks every day. The point is that you can only deduce whether you have a blue spot by observing the behaviour of others, in particular whether any monks leave on a given day. Because spotty monks can leave any time during a day, it takes a whole day to make each step of the deduction. Does the Guru call together all the ill (or possibly ill) monks or all of the ones in the monastery? I’d read the”One day, the Guru, who is known to be truthful, gathers all the monks together…” bit as he called all the monks in the monastery, not just those which may have been sick. How does the logic work if there are monks without blue spots on their heads in the group? He calls together all of them. The logic works exactly the same: the presence of a further 90 monks (or even 990 monks) on which nobody can see any blue spots doesn’t change anything, because it’s only the number of blue spotty monks you count that affects the logic. Hmmm – I think I’ve just got it (though my grip on it is tenuous to say the least! there’s no way the monks can infer the truth when you assume all 10 have the spots at one time……extrapolation only solves it theoretically…. I couldn’t solve it and I can’t understand the solution, I’m a lot less logician than a monk! I’m having a hard time too, grasping why it’s necessary to consider the 1-8 ill monks cases if everyone knows there are atleast 9 ill monks. But the http://xkcd.com/solution.html helps alot. Before today I thought of it as hypothesis testing: Every monk starts out with the hypothesis of him being well. If the hypothesis falls, he knows he’s ill. So assuming that the monk is well, he’ll have to figure out when he expects the others to leave, so he can test his hypothesis. He does this by doing what we do: He infers the hypothesis on another random monk (xkcd calls this hypotheticals inside hypotheticals). This continues from 9 to 1 monk at which point it’s possible to expect when he’ll leave. So on 2nd day, monk #2 hypothesis falls, 3rd day, monk #3 hypothesis etc. But no-one can make a decisive conclusion before their own hypothesis (10th monk, 10th day) falls or stands. That’s my best take on it. At least i found my mistake (event though i also thougth all monks would leave), and i understood the suggested solution..
i tried to answer it but it hurt my brain a bit and i got lost. i liked @pissedbastard’s explanation for not getting it though, “[I] didn’t work it out due to a bottle of wine”. one day i’ll work out the friday puzzle before reading the answer. one day. Nope, did not get it. Did not help that I was ill all weekend (without blue spots on my forehead). Given the spot always occurs on the forehead, what’s preventing a monk from approaching another, pointing at themselves, then pointing at their own forehead, then alternating one of their fists between the thumbs up and thumbs down positions (i.e. “Do I have a blue spot?”, to which the other monk would either put their thumb up or down. I completely agree. I couldn’t see past the use (or non-use) of hand gestures. Furthermore, what a useless guru. He could have just picked out the diseased monks himself. Let’s just hope that the additional 9 days of shillyshallying didn’t deepen this dreaded infection. Even when they see that all others have the disease the first day already, they realise that they can only solve this problem by doing it “properly”, i.e. IF it was only one sick monk he would realise after one day, IF there two sick monks they would realise on day two and so on. 10 – it’s a disease.. Diseases spread.. They all see each other’s spots and figure they probably have it too.. The actual answer is so long winded i wouldn’t have had the patience to guess it! Yup, I plodded through the same reasoning as the answer to get to 10 in 10. I still have wobbles when I think about the monks without spots, why don’t they decide that they’re spotted? What if there is a hypochondriac there? Why can I see blue spots dancing around in front of my eyes? 2 monks with spots, 2 without. The 2 without can see 2 monks with spots, 1 without, but don’t know whether there are 3 / 4 infected. The 2 with can see 2 without, 1 with, but don’t know if there are 2 / 4 infected. However, the thought process for the 2 infected will be that if the *other* monk can see 3 without spots, then he would know that, given there is at least 1 infected, he has to be the one, and would leave. However, given that the other monk doesn’t leave immediately, he can see a blue spot, and it has to be on ‘my’ forehead. Therefore ‘I’ am infected, and ‘I’ leave, along with the other monk, who has come to the same conclusion. Therefore, the 2 who aren’t infected can see the infected 2 leaving, and can conclude that they are not infected because otherwise the monks would be waiting for *them* to leave. Once I got that it was easy. How does the guru saying that every day help? Once the guru has said it on the first day and nobody has left since then (following your first assumption about the number of spotty monks being stable), it’s clearly still true. However, the guru only had to make the statement once, as from this day (in case of the present situation) every monk can see the other 9 “spotted monks every day” so there seem no reason why the guru has to repeat himself..
– the first day the guru sees ‘reports’ one monk with spots. Monk x with spots sees 9 other monks with spots, so he does not know for sure that he has a spot and therefore doesn’t leave. – on day 2 the guru ‘reports’ one monk with one spot, and being a perfect logician, he doesnt report the same monk. So monk x thinks, okay, there are apparently 2 monks with spots, I see 9. So I don’t know for sure if I have a spot and therefore don’t leave. this goes on until the guru has made the statement 10 times, monk x sees 9 monks and then concludes that he must be number 10 and leaves. The 9 other monks followed the same line of logic and also leave. Really contrived answer. Say there are 2 monks with blue dots. Each sees that the other has a blue dot, and KNOWS that at least 1 monk has a dot. What would ever possess him to think that after the first day, if the blue dotted monk didn’t leave, that he himself must have a dot? If you were the monk with the blue dot, and you could see that another monk had a blue dot, why would you then extrapolate that you must be dotted yourself if he doesn’t leave after the first day????? I’d just wait them all out in my happy ignorance. The solution tends to suggest the number of days with no one leaving is directly related to the blue dotted monks; no rational reason for this. If the monk you see with a blue dot does not leave on the first day then the reason is that he can see someone with a blue dot. If you can only see one blue dot then it is you that the other monk can see and therefore you would leave. The answer is correct the number of days with no one leaving is related to the number of blue spotted monks. If you didn’t have a blue dot on your forehead, the blue-dotted monk you saw would have left after the first day, because he would have looked around, saw that no one else had a blue dot (which means that HE must have a dot), and left. Since he didn’t do that, there must be someone else with a blue dot. And since you can’t see anyone else with a blue dot, that someone else must be YOU! I actually got the right answer of 10 monks but it was pretty much a guess. Why do the monks assume that the other monks know that they have dots on their heads? Each of the infected monks sees nine other infected monks but doesn’t know whether he himself is infected or not. As the nine monks don’t leave on the ninth day, that must mean that there are ten infected monks. But why would they expect the other nine monks to leave on the ninth day if none of them know that they are infected? They’ll only leave when they discover they are infected and they all know that the other nine don’t know that they are infected. This is one of my all-time favorite puzzles, and as such I new the answer already. I notice a lot of commenters take issue with the solution – understandable since it is much more complex than usual. Keep with it. However, I also noticed that nobody has yet raised the following objection: why hadn’t the 10 monks left long ago? The guru tells them that at least one monk has the blue dot, but since 10 monks actually were infected, they all knew that (in fact, they all knew that at least nine monks were infected). So what new piece of information is the guru providing? I think I have an answer to this question, and I’m not raising it here to throw the provided solution into doubt, but simply as an additional puzzle. The answer to this is: Until the guru’s statement, it would not be correct to say that all ten monks know that the other nine monks know that the other eight monks know… (fill in the rest here)… that the other two monks know that the other monk knows that there is at least one infected monk. The only way that could be true is if at least one of the monks knows that he is infected. Since none of them know what their own foreheads look like, no one will ever figure out whether or not they were infected — until nine days after the guru’s announcement. To put it another, simpler way: wihout the guru’s announcement, there is no reason to expect a lone infected monk to leave, and that hypothetical possibility is what the rest of the deductions are built on. Which monk decides they are going to be monk(n) who would leave on day(n) in the process and somehow ensures the other monks know this? This is where it falls apart for me. 1 monk, 1 day, got it. 2 monks, 2 days, got it (“either/or”). 3 monks, 3 days? Don’t get it. If not monk1 then is monk2 waiting for monk3 or vice-versa? Add more people and it continues to fail for the same reason. For a group of x people (p1…px) they must agree as a group on who p1 and p2 are, allow one to leave and then repeat for p(x-1) until two people remain. Call me tragic if you will, but I’ve been noodling on this puzzle ever since my original postings at about 8 o’clock. I still don’t think the logic works past two monks… as you say yourself, Chris. Thanks for the (inadvertent) back-up. Let’s say the three of us were monks and it just so happened we were the only three who had dots on our heads. What would we each be thinking on each day? On day one, we would look at each other and each see two monks with dots. I would expect nothing to happen, since I currently believe that we are int he two dot case. On day two, still thinking we are in the two dot case, I would expect both of you to realize that it is only you two who have the dots and as such you will leave (after all, I know you both accept the two monk case). When you don’t leave, the only explanation is that each of you saw two monks with dots, and as such I must have a dot. So I will leave on the third day. Now there is nothing special about me. All three of us are thinking this exact same thing each day. So we each, independently decide to leave on the 3rd day because that is the day we realize that we have a dot (since the previous day the other monks did not leave, which they would have, if we were dot-less). Now if we all agree that the three monk case works, we get the 4 monk case in the same way: we each expect three monks to leave on the 3rd day, but when they don’t, we each realize that we must be dotted, so leave the next day. In fact, if there are n monks with dots, we each expect n-1 monks to leave on the n-1-th day, but when they don’t, we realize that we each must have a dot. Oscar – thanks! I’m starting to see it now. But it’s even harder than Jacques Lacan! I did solve it. Took me most of the day. That’s because I didn’t really *want* to solve it, I do prefer the more lateral thinking ones like last week, but I couldn’t stop thinking about it. Finally I gave in around 3pm and worked through the problem much as Milan described. I got this one intuitively, probably because I know I’ve seen it before in the distant past, but I couldn’t quite put the actual “why” part together. I took a guess on this one. Suppose I am also in favour of hand gestures, or all monks being adamant on finding out who is spotty and staying up to observe each other’s behaviour. Oh well, it was intriguing. Have now read the words ‘spotty monk’ too many times and they look funny. Extrapolating this to any case ‘n’ ill monks in a group of ‘n+x’ monks, the correct number will ALWAYS leave on day three, assuming that all monks see all other monks daily, and all monks are able to recall how many had dots previously. If you are one of the monks, say 50 in total, and you can see nine with spots, you have to wait till the tenth day to realize that the nine haven’t left on the ninth day. Your reasoning would have all fifty leaving on the third day. I think (therefore I’m not sure), what a good puzzle!! I think I know the flaw in your reasoning: a perfect logician would figure out that each of the other nine monks sees at least 8 blue dots. This far true. However, if there were a monk seeing 8 dots, they would then have to assume it’s possible the others can see only 7 dots! So, being one of the monks, and seeing 9 monks with dots, you have to think what you know (at least 9 monks have the disease), what you know the other 9 know (at least 8 monks have the disease), what you know the other 9 know the others know (at least 7 monks have the disease) etc. So even though you know everyone can see at least 8 diseased monks, you can’t know everyone else knows everyone else can see 8 diseased monks. Thus the timeline can’t be moved up. Replying to myself twice on the same post without any other activity is kind of sad. I do realize that this doesn’t exactly qualify as an answer to the question, as the question wasn’t how long it takes for the monks to figure this out and leave, but why ten monks left on day ten. We get back to the question of why the guru had to point it out, as the monks already knew that 9 monks had the illness, and that each knew that 8 monks had it. So really the constraints are that all of the monks appear with no history, knowing what the puzzle says they know, and are not allowed to act on any knowledge until the guru speaks. I don’t see how the Guru told them anything when there was a vow of silence. I said one ill monk, the Guru, he realised he had it and had to leave so started talking just to annoy the other monks out of spite. Nothing says Guru is a monk. Perfect logicians or not, it took them 10 days to diagnose a disease that has no other outward symptoms but who knows what might be happening internally without their knowing. I hope I’m never treated for a medical condition by one of these guys. PLEASE help me get this straight: WHY would we have to wait for the third day to leave? If I see the two of you with spots on the FIRST DAY and meet both of you again the day after, the conclusion would be clear and I’d have to leave that night. Or wouldn’t it? You have to put yourself in John’s shoes without knowing what you know John knows. You and I each know that John sees at least one spotted monk. But I don’t know that you know that, and you don’t know that I know it. You see me and John with spots on the first day. But maybe I see John with spots and you without. So I have to wait to see if John leaves before I figure out that the other monk with spots is me. When John doesn’t leave (because he saw someone else with spots and assumed they would leave), I know someone other than John has spots. If I don’t see anyone else with spots, I can conclude that I have them. Now, with that conclusion, I have to leave by the end of the day. I can’t come to that conclusion, however, until the number of days is greater than the number of monks I can see with dots. This puzzle presents an interesting paradox, and I’m surprised no one else has mentioned it. I think I know how to resolve the paradox, but I’d like to read others’ remarks. First of all, the solution seems irrefutable. The 10 monks with blue dots can eventually deduce who they are, and must leave on the tenth day–no sooner, and no later. But consider this: Suppose the monks had been living for years under the rules of the puzzle (i.e., you must leave at the end of the day as soon as you know that you have a blue dot.). Before the guru uttered his statement, no one had any way to know whether he had one himself. But, when the guru spoke, the information he gave was no surprise. Every monk already knew that at least one monk had a blue dot, and furthermore, every monk knew that every other monk knew this. They could all see at least nine monks with blue dots. Therefore, when the guru spoke, he said nothing that everyone didn’t already know. So, why should they behave any differently after he spoke than they did before? the guru’s statement eliminates the possibility that the number of monks leaving on day 10 is 0. the problem specifies that “all the monks with blue spots leave” but it doesn’t actually specify that any leave. the statement also sets up the recursion (a monk knowing that at least one has a spot but seeing none would leave on the first day, etc). but here’s a question: imagine if instead of the guru’s statement, the problem stated that each monk saw spots on all 9 others. how long would it take for each monk to deduce that their own forehead has a spot? this should be the exact same problem, because the original puzzle requires the number of infected monks to remain constant, and the number of days it takes them to solve it must start on the first day they have any information about the number of spots (the guru’s statement in the original problem). since on day 1, each monk sees 9 spots, would a “perfect logician” begin their analysis by assuming that they saw 0? yet that’s precisely what the puzzle requires. If the guru said, “Each monk here sees exactly nine spots”, then the monks would immediately, without having to think much about it, deduce that their own forehead had a spot. This is because if everyone sees exactly the same thing, then everyone must “be” exactly the same thing. In general, if the guru says “everyone here can see at least N spots”, and N is one less than the actual number of spots, then all the infected monks leave on Day 1. I think it is absolutely racist to banish people who have blue spot on their forehead! I know people with blue spots and they happen to be very kind! The puzzle is perfectly logical provided you accept the completely insane assumption that people have one thought per day. In the real world they don’t, even if they are perfect logicians. Suppose there are 2 spots. You can’t be sure WHEN someone starts thinking “Well I can see one spot, and no one left immediately, so there must be more than one spot”. Why does that thought have to be delayed to the second day? Why is it only made in the presence of other monks? So that means, if you can see 2 spots, since you can’t be sure when those thoughts took place in other monks, that you can’t with any certainty conclude anything from the failure of anyone to leave at any specific time. The reality is that you can have that thought within moments on the first day, or when you have left the presence of the other monks. Since other people can’t know where you are up to in the thought process, the iterative logical process breaks down. Thanks for the hints, got it figured out now in my own words: http://dl.dropbox.com/u/1653276/Blue%20spot%20riddle.rtf. Thanks Richard, for the weeky goodies, too. *no one actually had a blue spot. *they all looked at each other and saw no blue spots. but it was not to be. i followed through the logic for the first steps but then i think i wandered off (physically and mentally) so I don’t know if I would have figured it out eventually. This is correct. If the guru lies that at least one monk is infected, then each monk will individually assume that he is the one and only infected person. Which means they’ll all be rather confused when they see each other leaving at the same time, and they’ll probably figure it out. Meanwhile, if the guru screws up his prank and says that at least two are infected, then the monks will immediately catch on, unless they trust him so much that they doubt their own senses. I solved it in pretty much the inductive manner given. Now, there is a weakness in this puzzle which lies not in the answer or the way how to derive it, but rather on how the question and circumstances are formulated – not even delving into the business of hand signals. In this particular instance the contrivance is the upper bound of 10 given in the question, which is crucial to the answer – how do the monks know this upper bound? The blue-eye problem (http://xkcd.com/solution.html) handles this issue more elegantly. Randall emphasized the critical nature of this aspect. A little late to say it but, yes, I solve it. For me, the place where the logic really falls down is when the first monk with a spot, leaves. How did he know he had a spot, if no one could communicate that fact to him, and there were no mirrors? They could all have spots, and not know it, given the scenario as stated. They could only see other monks’ spots and watch helplessly as no one left. If the fact of a monk having a spot could be communicated silently to him, then it wouldn’t take nine days to clear out the monastery. Right? For me, the place where the logic really falls down is when the first monk with a spot, leaves. How did he know he had a spot, if no one could communicate that fact to him, and there were no mirrors? They could all have spots, and not know it, given the scenario as stated. They could only see other monks’ spots and watch helplessly as no one left. If the fact of a monk having a spot could be communicated silently to him, then it wouldn’t take nine days to clear out the monastery. Right? This is a common misinterpretation of the answer. In fact, the monks do not leave once per day, so there is no “first monk”. All ten monks leave simultaneously on the tenth day. Now, it’s true that the answer involves hypothetical situations with a lone monk leaving on Day 1; this is necessary to induce the answer, but is not something that actually happens when there are ten blue monks. A lone blue monk, being told that at least one blue exists, would leave ASAP (Day 1). Two blue monks would each see just one, and expect him to leave on Day 1; when that doesn’t happen, they conclude that there is more than one and both leave Day 2. If there were three, they would consider the possibility of two, in which case, as already established, those two would leave Day 2. When that doesn’t happen, the three leave Day 3. I did not solve it. I just assumed they each accidentally caught their reflections in the spoons they used to eat their breakfast each morning, and they were all so embarrassed about having a blue dot they decided not to do anything about it until another monk left, and then they’d leave, and by that time almost two weeks had gone by. There’s nothing in the rules saying they didn’t have spoons. Actually, there is no spoon. Forgive my stupidity, but I cannot for the life of me uncover your sites rss feeds. Mind directing me to it? Thanks. If in them, they don’t know that how many of them are ill then how it can be solved. If in them, they don’t know that how many of them are ill then how it can be solved? I not to mention my buddies have already been looking at the nice guidelines on your web page while unexpectedly I got a horrible suspicion I never thanked the site owner for those techniques. All the people ended up for this reason excited to read through them and have now clearly been taking pleasure in those things. Appreciate your truly being well kind and also for picking variety of decent tips millions of individuals are really desperate to know about. Our own honest apologies for not expressing appreciation to sooner. Oops! I found my error in the “Flawed Logic:…” post and think I found a better answer. Of course, I have been wrong before. Please check it out (at theSilentKnight.info) and let me know where (if anywhere) I blew it this time. Thanks. Just because there aren’t mirrors doesn’t mean there isn’t reflective surfaces, a big one being water- which one must assume, if these monks are human, they must require and should be found somewhere near their monastery. Why does nobody bother to check if they have a blue dot or not is my question. Just because they aren’t speaking to one another doesn’t mean they couldn’t bloody well check for themselves. Also, if the Guru is truthful, why does he not tell the whole truth?